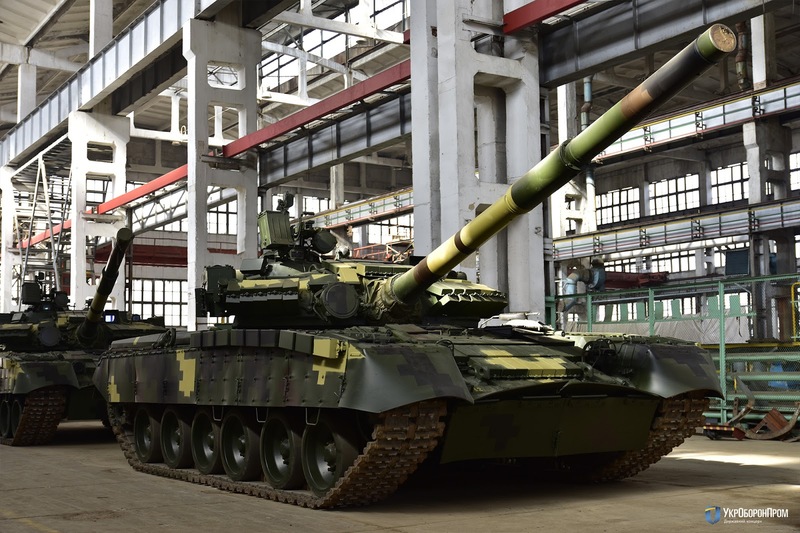 UKROBORONPROM SE «Kharkiv Armored Plant» prepared another batch of main battle tanks T-80 for transfer to highly mobile airborne troops of Ukraine. Its speed characteristics are enhanced by gas turbine engine with a maximum power of 1250 hp, speeding up T-80 up to 70 km/h, so military call this tank «flying». 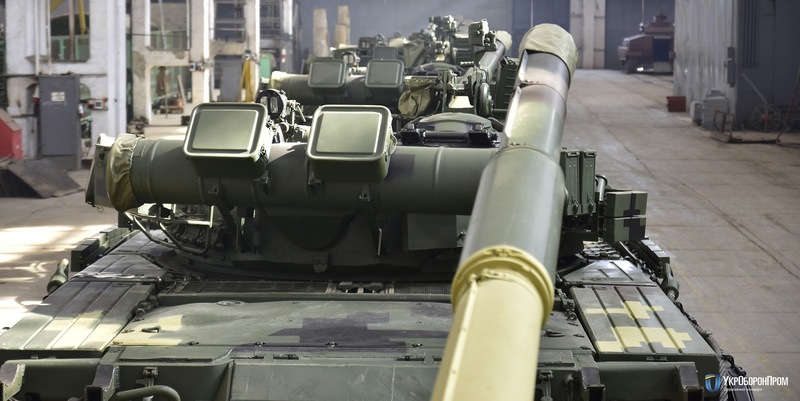 SE «Kharkiv Armored Plant» in the short term conducted a range of works to restore the engine, transmission, chassis, electronic equipment, fire control system, enhancing protection of the vehicle, as well as other works. It should be noted that after repair, each tank passed acceptance tests at the proving ground; all systems of the tank were tested, including firing and 100 km mileage on the armour training area. This process was recorded by UOP press service. 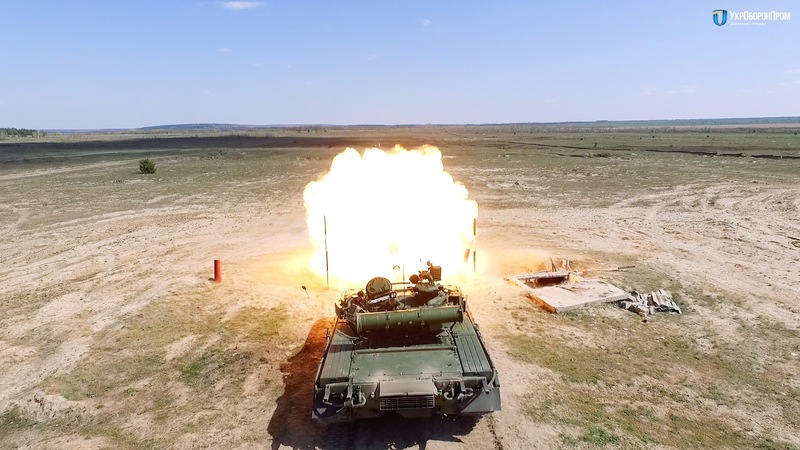 The video caught the moment of fire accuracy testing using125-mm gun – shot power of which uprooted the pole – and chassis testing, including hill climbing. 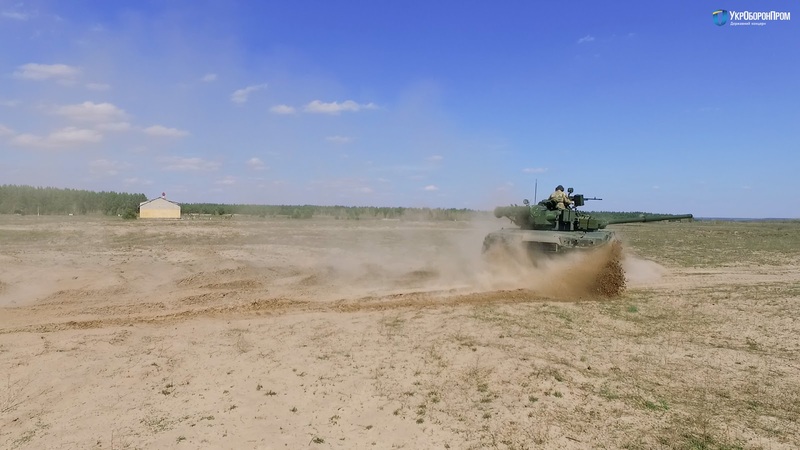 It should be noted that the highly mobile airborne troops of Ukraine started receiving tanks that were never awaliable for this kind of forces, in 2015. 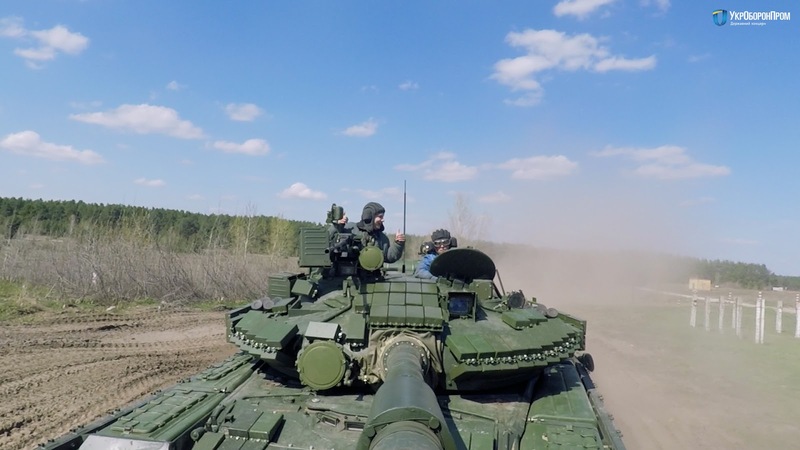 This allowed to significantly increase the firepower of paratroopers, defending the country in the ATO area. 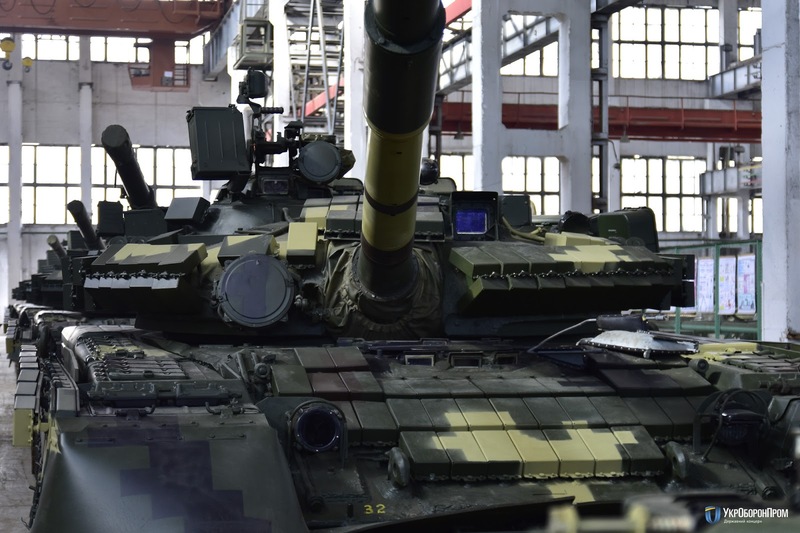 To implement this plan, UKROBORONPROM enterprises, including the Kharkiv Armored Plant, in a short time updated technological process of renovation works for tanks of this type, which – at that time – were already removed from operational status and for years stood under the open sky. 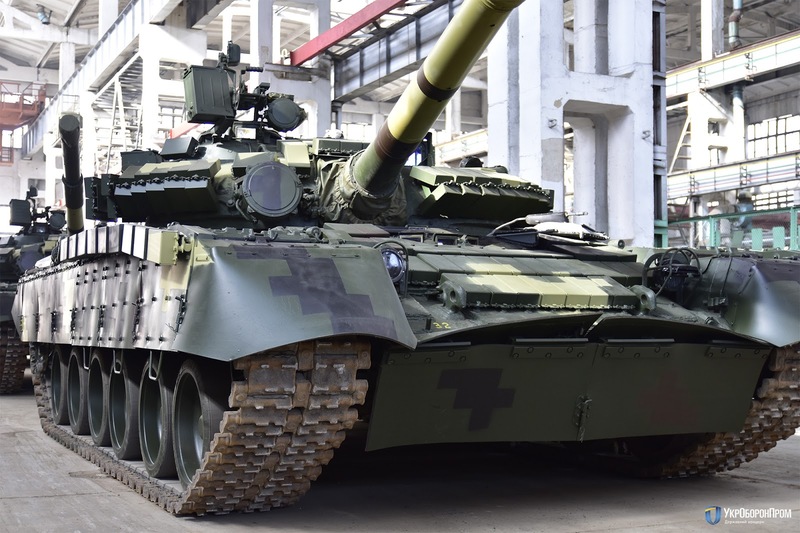 As a result of this work, each of the five brigades of highly mobile airborne forces of Ukraine were joined in a tank squadron, armed with T-80.